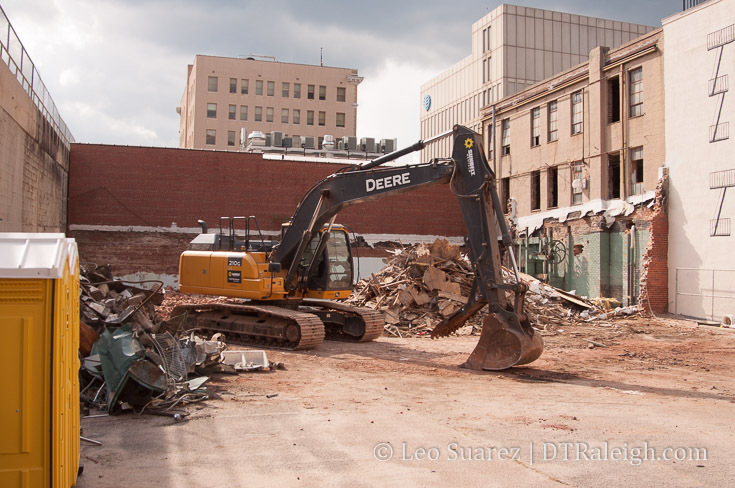 The building at 107 West Hargett Street is being partially demolished. Covered in detail here, we can see that the rear, one-story section has been removed and will now have a five-story building that incorporates the brick, street-facing building that sits on the same property. I’m a big fan of this project and would love to see more reuses of older Raleigh while still adding density to our downtown.